We carry a range of DIY & hardware supplies in store, and our Café provides the perfect excuse for a work break! 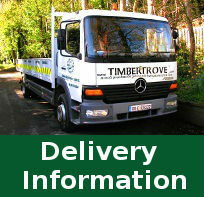 So why not pop over to Timbertrove next time you need to stock up? DIY & hardware products carried include: Cuprinol wood paint & wood stain, Cuprinol outdoor care for wood products, cement, gravel, screws, fixings & more.